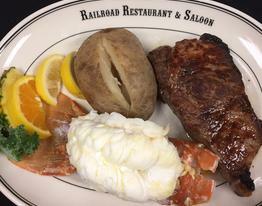 Railroad Restaurant & Saloon uses a Montague Broiler to prepare all steaks, chops, and burgers. We use a Henny Penny rotisserie to prepare all chicken and ribs. 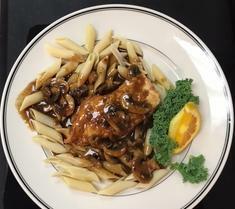 All food always made in-house and cooked to order. 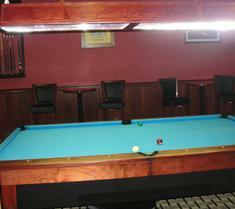 Railroad Restaurant & Saloon offers a billiards room where patrons can play at no charge. 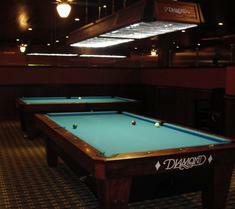 We have two 9 foot Diamond competition pool tables and high end cues. There is plenty of seating featuring four high top tables and two standard height tables while you're watching others play or waiting your turn. Filet & strip steaks. Fresh Florida black grouper, Alaskan halibut, crab legs & lobster tail. Cooked fresh every Friday & Saturday. Slow roasted to perfection with our signature rub. We offer a variety of fine wines, a full bar, in addition to bottled local, imported, and domestic brews.